Deepen and develop your practice of mindfulness in this 8-week program specially designed for graduates of MBCT, MBSR, or MSC. Whether you’ve found it challenging to maintain a practice since your initial program concluded or you are ready to take the next step toward mastering the core skills of mindfulness, this program will build on the foundations of what you have already learned and help you to integrate mindfulness into your life more fully and consistently. 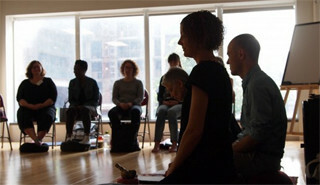 A signature focus of this program is on extending the discrete skills of mindfulness meditation as transferable skills, directly applicable in to everyday life. Most third-party insurance plans cover the cost of this program. Learn more, click here.